Just a little inspiration for you this Memorial Day Weekend! I hope it’s filled with warm sun and smiles. And thankfulness. And cake. 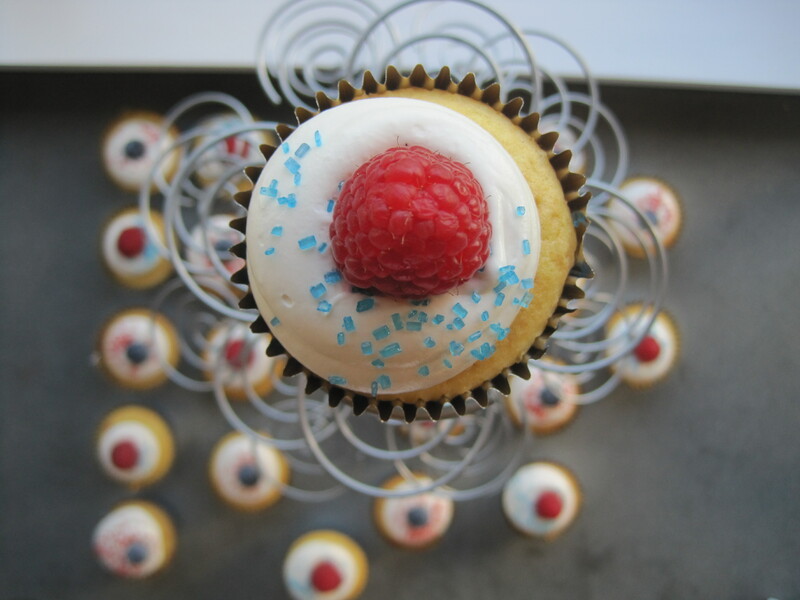 You can make these with any cupcake recipe (even one from a box — my lips are sealed) and any type of white frosting (simple vanilla, sweet and tangy white chocolate cream cheese, even mascarpone). 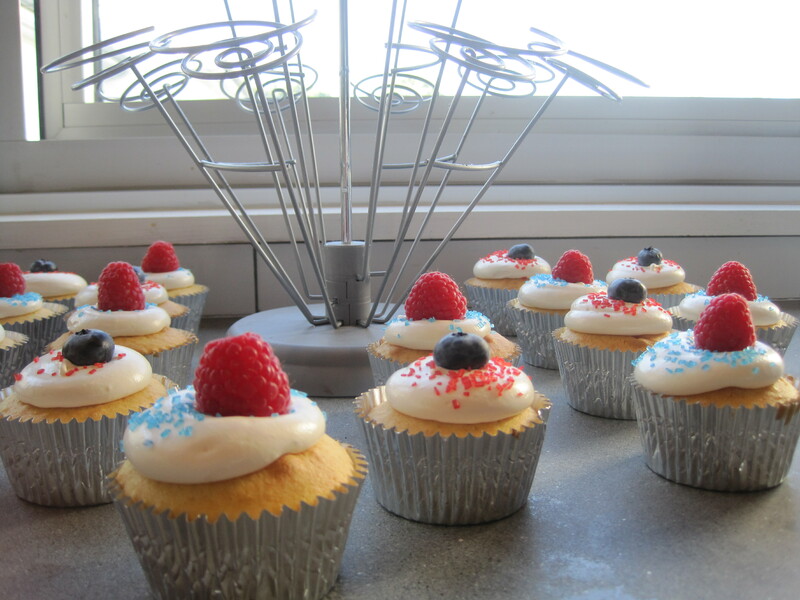 All you need to decorate are some crunchy sugars and a few bright berries. Let’s bring them to a barbecue. Maybe make a friend smile. Make the weekend a little extra. 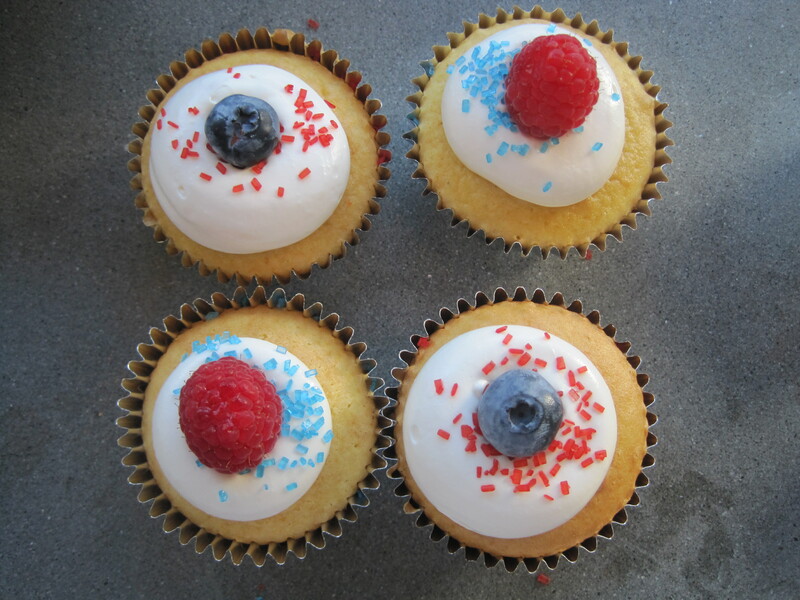 Hooray for red, white and blue cupcakes on Memorial Day! They look scrumptious! !